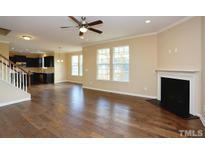 Below you can view all the homes for sale in the Langston Ridge subdivision located in Knightdale North Carolina. Listings in Langston Ridge are updated daily from data we receive from the Raleigh multiple listing service. To learn more about any of these homes or to receive custom notifications when a new property is listed for sale in Langston Ridge, give us a call at 919-759-5754. Dont miss the opportunity to live in this great community. MLS#2239963. 4645. Tons of storage and extra large closets throughout! MLS#2235061. 4645. This incredible community gives you views of the downtown Raleigh skyline. MLS#2230567. 4645.